Panguna landowner chairman says the Bougainville Government is going about the reconciliation process in the wrong way. 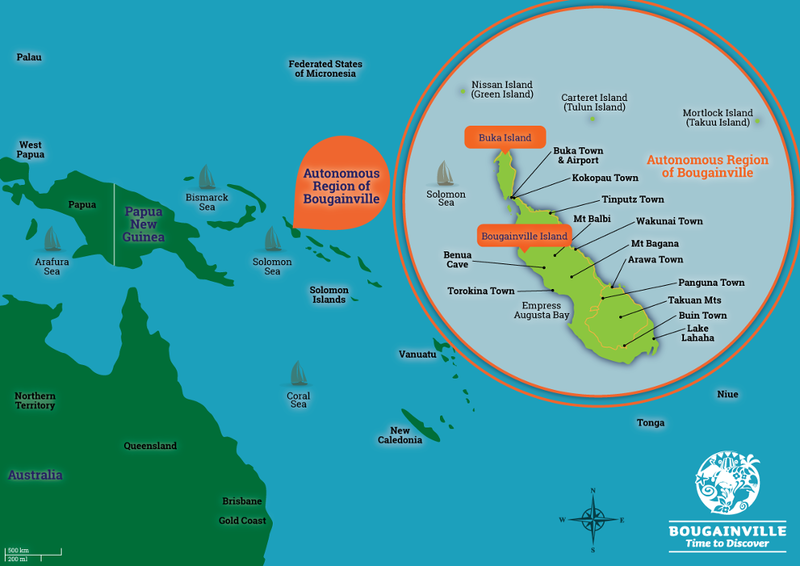 The man heading the Bougainville land owners group where the Panguna Mine is sited says the government in the autonomous Papua New Guinea province is going about the reconciliation process back to front. The ABG, headed by President John Momis, wants the mine to re-open, to help quickly stimulate the economy as the province begins to consider a vote on possible independence. The mine was at the centre of the province’s civil war and has been shut for 25 years. The ABG spent much of last year consulting with the communities on renewed mining, and holding reconciliations. But the chairman of the Osikaiang Landowners Special Mining Lease, Lawrence Daveona, told Don Wiseman before any of that can happen there has to be reconciliation within his own village, Guava. He says then there could be a wider reconciliation and Bel Kol – the Bougainville cultural practice of giving compensation. LAWRENCE DAVEONA: And the reasoning behind this, through customary practice, is that the conflict started in Guava and the leaders of Guava have to officially authorise our President Momis and his Government to take over the preparation and actual staging of Bel Kol on Bougainville. And again under our arrangement with ABG, the Panguna Negotiation Office and the Mining Department, the process we have to do is, after the Guava and my family reconciliation, President Momis will make a visit to Guava Village, because it was in Guava Village after Francis Ona [ leader of the separatist movement during the Civil War] invited him after his capture by BRA [Bougainville Revolutionary Army] rebels in Tinputz. So the people of Guava Village looked after President Momis and President Momis has promised to come and visit Guava Village and then say thank you to the Guava Village community. Upon his visit here the leaders of Guava and chiefs will officially, through customary ritual, hand over authority for this Bel Kol staging by ABG as our Government on the ground. And as I said before the Bel Kol the Panguna Landowners and the Guava Village must have their own reconciliation with ex-combatants because that is how the conflict progressed on. From a Guava Village internal family feud to the involvement of Panguna Landowners and then the involvement of the militants which then developed into the ex-combatants. DON WISEMAN: You could understand the ABG perhaps being a little bit confused because as they see it, they have gone through extensive consultations already with the community and they have had extensive reconciliations but you are saying that that counts for nothing at this stage because they have got it the wrong way around. LD: That is correct. That is correct. That is correct. It is common understanding from north, south and central that the crisis originated in Guava Village and Panguna Landowners and it has to go back to the root of where it all began and work outwards. Not the top down approach as the ABG has been approaching it. DW: So once it got to that point, once you can go through the Bel Kol as you have described it, then discussions could begin on a possible re-opening of the mine. LD: After the staging of the Bel Kol, BCL [ Bougainville Copper Ltd] will have its presence in Arawa as has been agreed to and BCL will begin its restoration programme but not in regards to the re-opening of Panguna Mine. There are outstanding issues that they have to attend to in terms of restoration programme, displaced villagers in the Panguna mine lease areas and also to the communities of the whole of Bougainville, through human resource development, like assisting with vocational schools. There is a package involved in the Bel Kol exercise, so BCL will be on the ground after the staging of the Bel Kol. Now the date has been postponed until some time in July for this exercise of Bel Kol. DW: As we said the President is very keen for the mine to be opened because he sees this as the way in which the economy can quickly get going so that it is in a viable state in time for the vote on viable independence after next year, or from next year onwards, but the way you see it, that is not going to be possible, it is going to be many years down the road before there can be any re-opening of that mine. LD: Well people cannot just want the Panguna are opened. Oh no no no, they can’t. The need to be compensated and their outstanding compensations for Panguna landowners and even the loss of lives – between 15 and 20 thousand people – is an issue that our Government, ABG, is really not addressing. It is going to take quite some time because the Panguna landowners position is that the ABG should take ownership of the restoration package for the whole of Bougainville and this package should deal with a lot of the issues – such as compensation for the deceased, the restoring of burned down villages, the infrastructure, so that our people can be in their right mind before they can talk about opening the Panguna Mine. DW: So many many years? LD: Oh I can’t answer that because as it is – I know I keep saying I know where our President is coming from. He thinks we can start negotiating from the end of this year. I don’t see it that way. Maybe next year. Maybe mid next year about Panguna. The problem is on the ground. You can’t just walk in and open the mine. A lot of villagers here are not settled and we have got a lot of issues that the government, the ABG Government is not really addressing. So Lawrence has a point, but how does the ABG or BCL for that matter raise the money to deal with compensation issues if the potential revenue source continues to remain shut down? Yes, the Guava issue needs to be settled, but the issue needs not be taken to a point where it continues to derail the process of reopening the single largest revenue source for Bougainville. As far as Bougainvilleans are concerned the re-opening of the mine must occur, because the revenue generated from its operation is crucial to the compensation exercise. Otherwise we suggest that while the mine remains shut following the conditions stated by Lawrence Daveona – compensation and reconciliation etc. 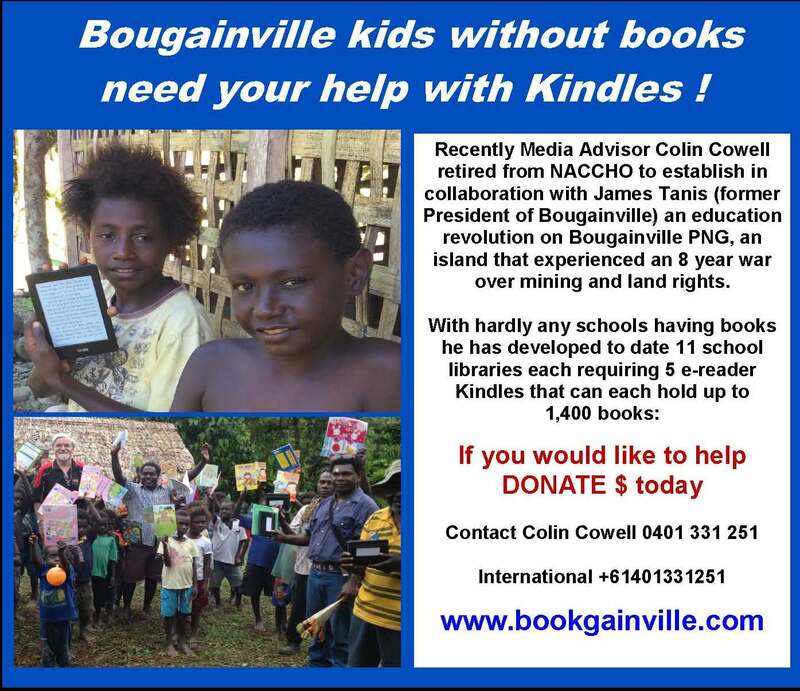 before Panguna reopening – Mr. Lawrence should propose an alternative source of generating the revenue that will compensate the people of Bougainville. The people of Guava started a war that killed more than 20,000 Bougainvilleans, and now they would strive to delay and derail efforts to open a mine that would compensate us all?? You Guavans need to get your act together and stop blaming the ABG for your own continued infighting before you start another war and get more people killed!!! !